Bright, moist and cool(ish) just about sums it up. That may sound like a strange combination for a tropical orchid, but it isn't really. 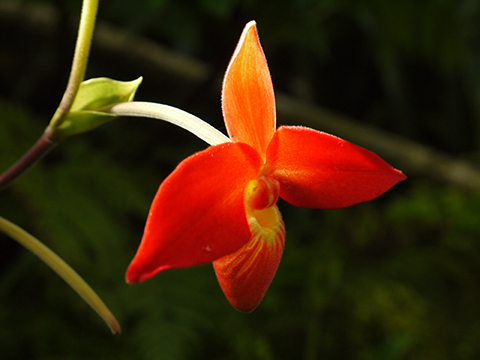 Not for an orchid that grows along mountain springs near the Equator. 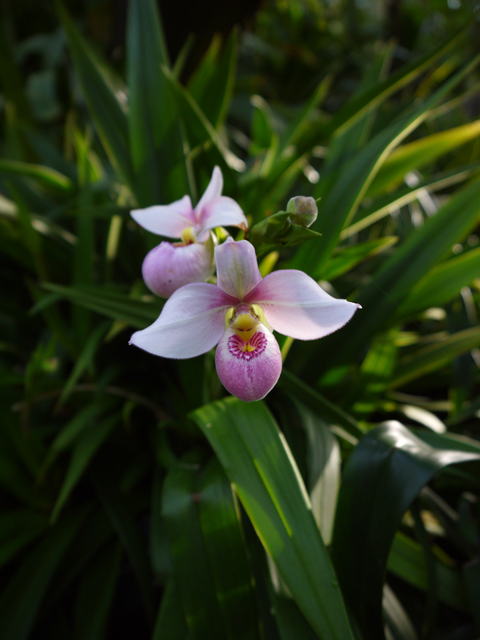 When I first started growing orchids I grew the Andean Phragmipediums (Phrags) right alongside the Asian tropical slippers, the Paphiopedilums. Same greenhouse, same treatment. They're both tropical slippers, right? Same requirements! Picture the lovely Andean slippers growing on a steep granite embankment at 4,000 ft in the mountains of Peru. The rocks glisten with moisture from an underground seepage. Before noon the entire hillside is flooded with sunlight. In afternoon the area is bathed in mist. Now picture Paphiopedilum stonei growing on the island of Borneo, wedged in the crevices of limestone cliffs and shaded by the crowns of trees growing at the base of the cliffs. The air is warm and humid and the microhabitat is drier and shadier. No wonder my Phrags wouldn't flower! CLIMATE/ECOLOGY: As terrestrials on continuously wet embankments exposed to morning sun in lower montane (~2,000-6,000 ft) tropical forest. TIPS: Because of their requirement for high humidity these are difficult to grow well on the windowsill. Reasonably easy for greenhouse growers who can adapt their methods to the plants' needs. A bit more challenging in areas with hot summers.Want to grow them in an Atlanta greenhouse? Invest in a max-min thermometer and an evaporative cooler.